We stumbled across this unique instrument from up and coming Canadian luthier Meredith Coloma of British Columbia. The artist has fashioned a unique Maccaferri guitar-bodied mandolin with ebony & satinwood back, cedar top. 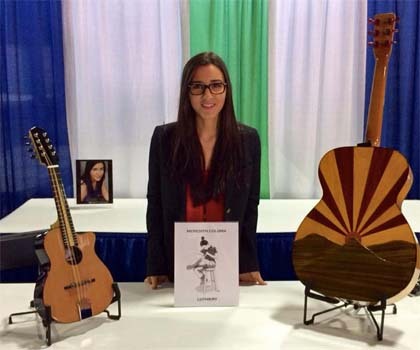 Her work on the unique mandolin body style has won her international respect among builders, and is an award-winning singer/songwriter. 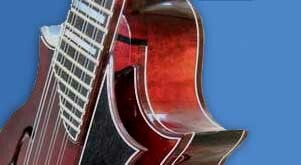 She is a talented luthier, who apprenticed with Sadowsky in New York and currently has her own business in Vancouver. Post by Meredith Coloma Luthiery.